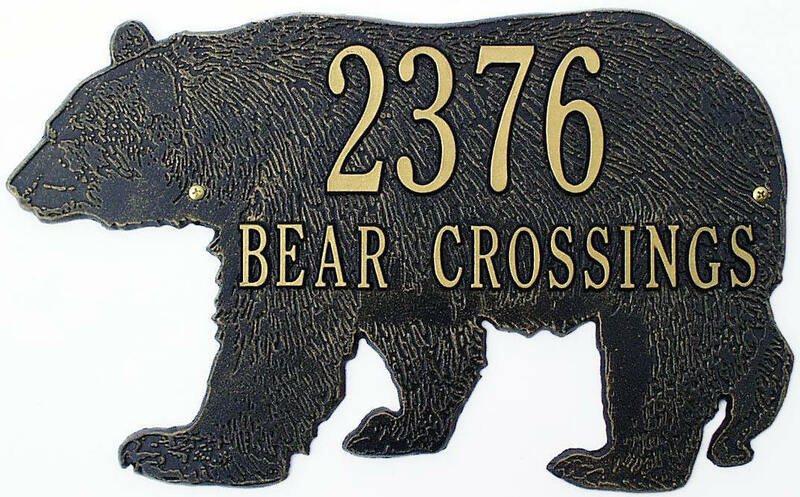 These lovely Home Accents make a wonderful animal theme gift and are truly unique. 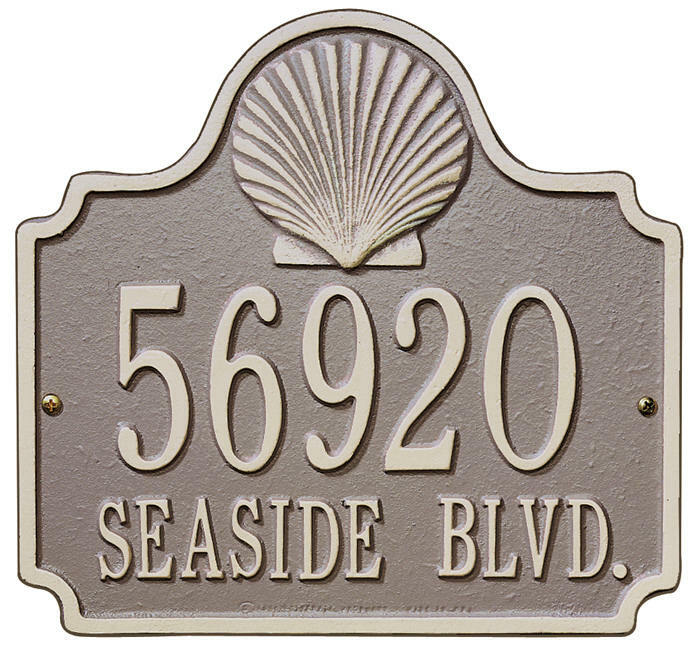 Many unique styles, colors and shapes to chose from. 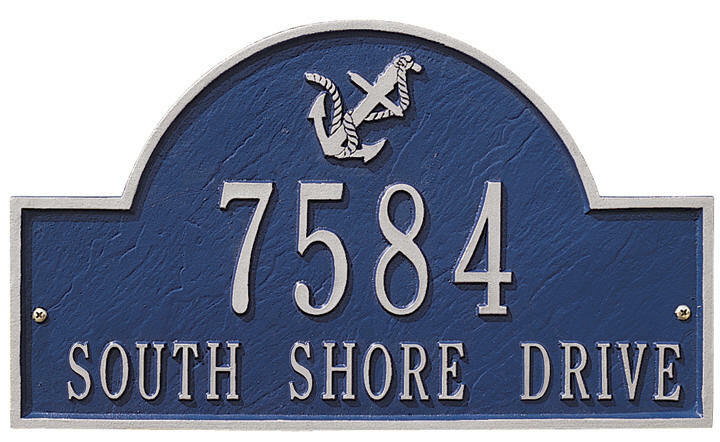 Made of Recycled Cast Aluminum and painted with weather resistant finish. 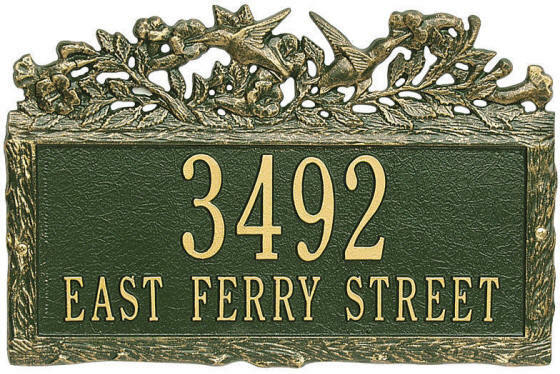 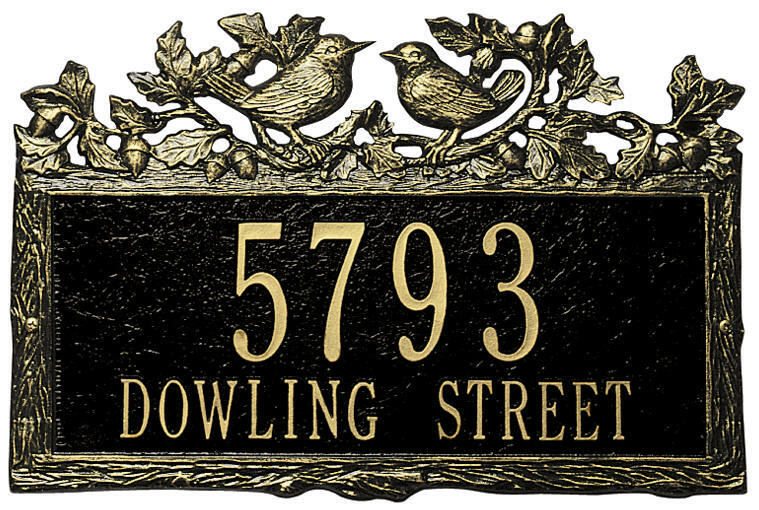 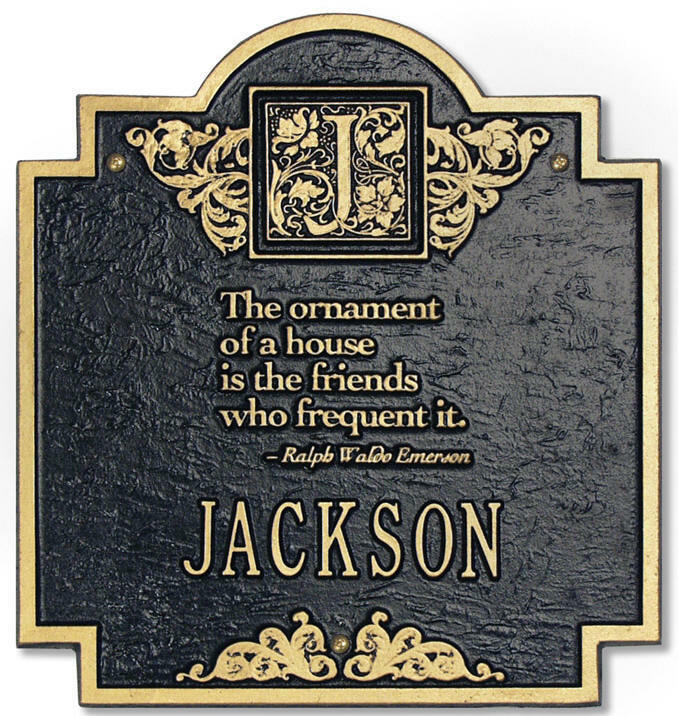 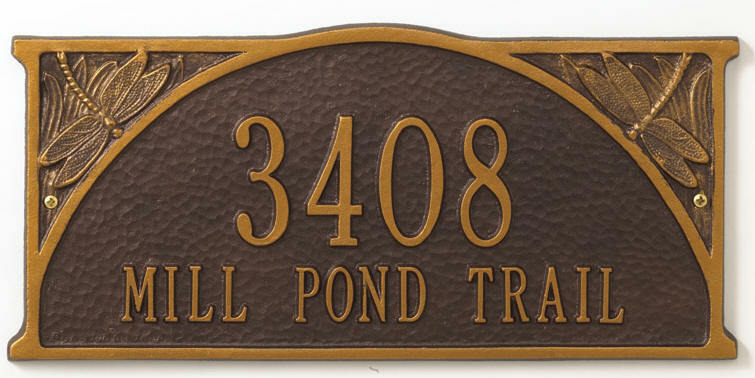 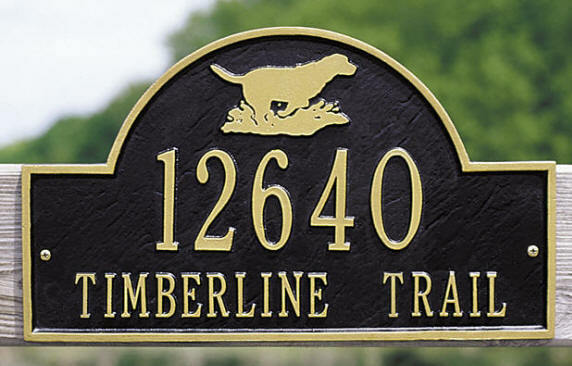 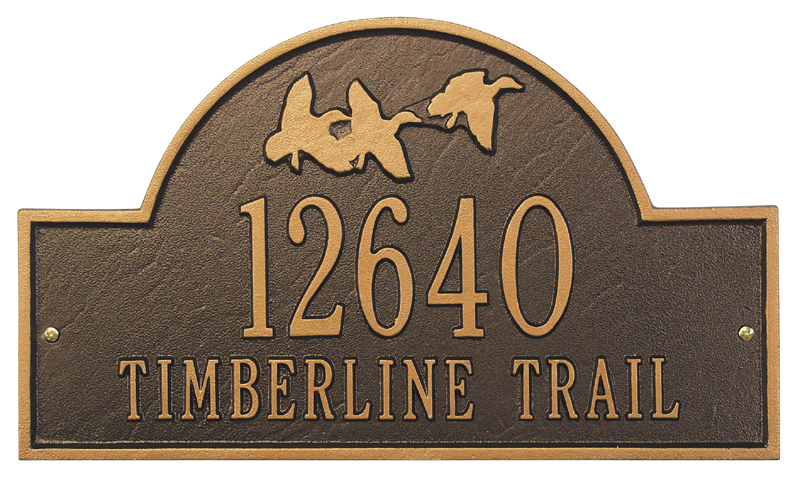 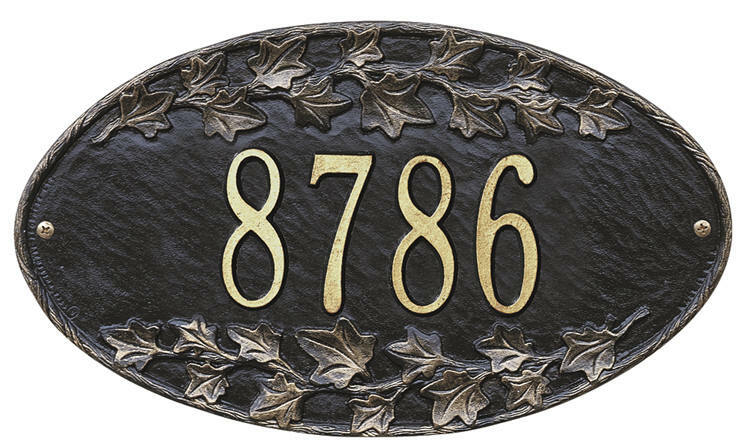 These Address Markers will create great curb appeal to any home. 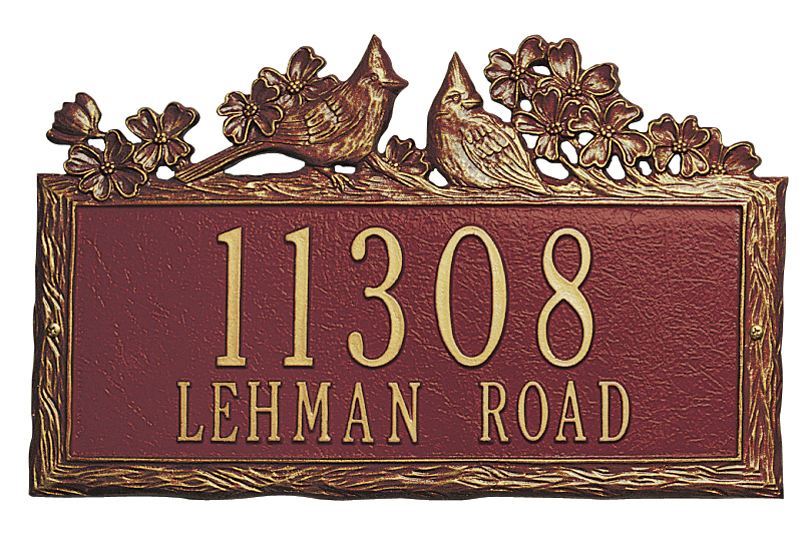 Custom made one at a time, for a personalized item that will last a lifetime. 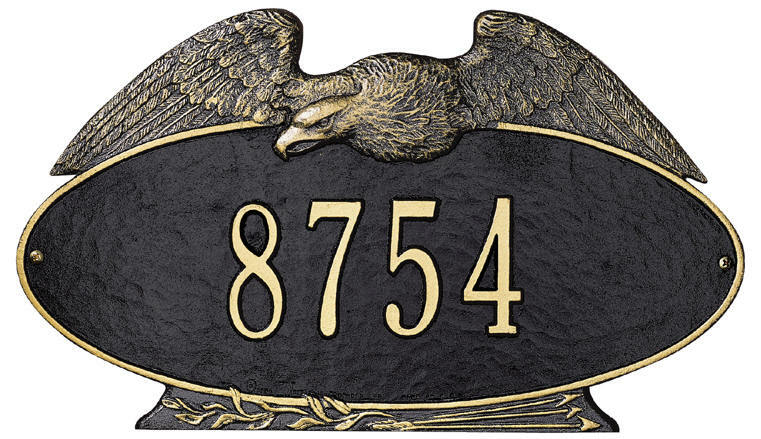 15.5" x 10" Line one - up to five 3" characters , Line two - up to seventeen 1.25" characters Eagle $88 16" x 9.25"
Line one - up to five 3" characters , Line two- up to twelve 1.25" characters 10.75" x 10"
Line one - up to five 3" characters , Line two- up to seventeen 1.25" characters 15.75" x 9.25"
17" x 7.75" Line one- up to five 3" characters , Line two -up to seventeen 1.25" characters 15.75" x 9.25"
Holds up to five 3" characters or seven 2" characters 13.5" x 7.75"
"The ornament of a house is the friends who frequent it"